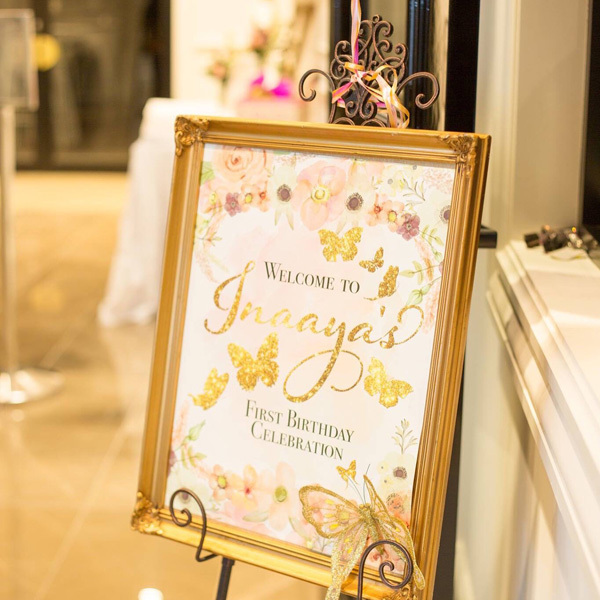 First impressions last forever, so greet your guests in a personal and memorable way with one of our custom designed welcome signs. 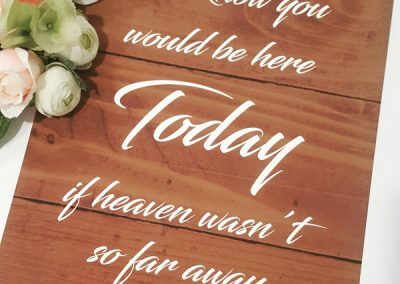 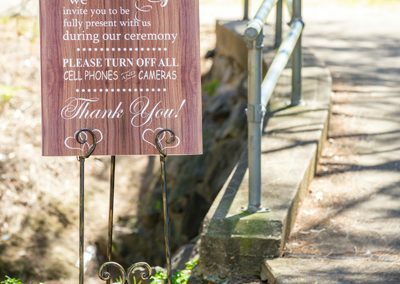 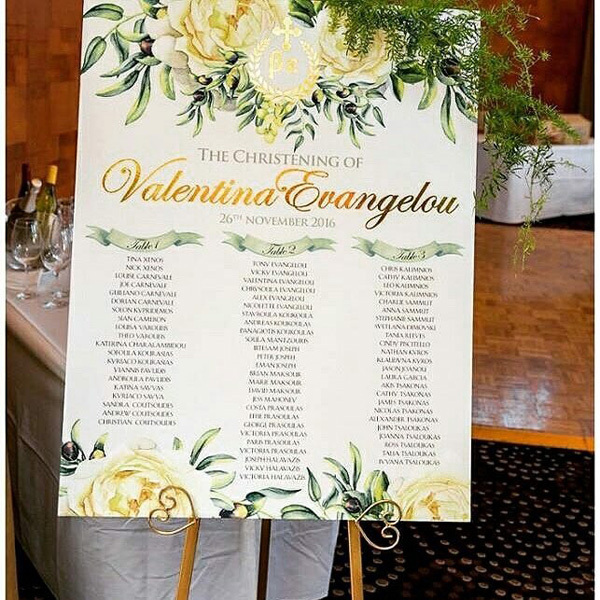 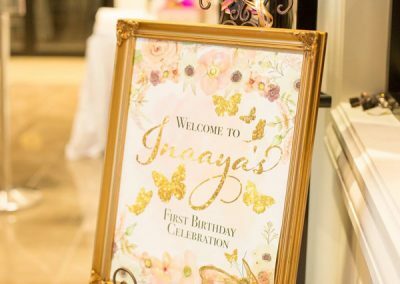 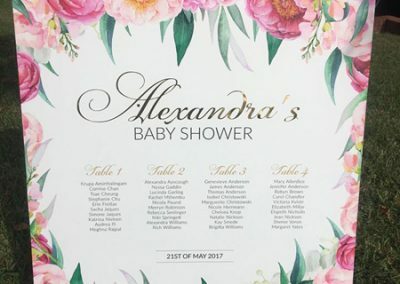 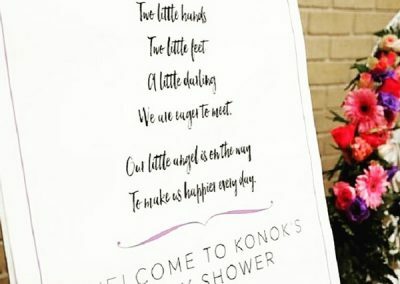 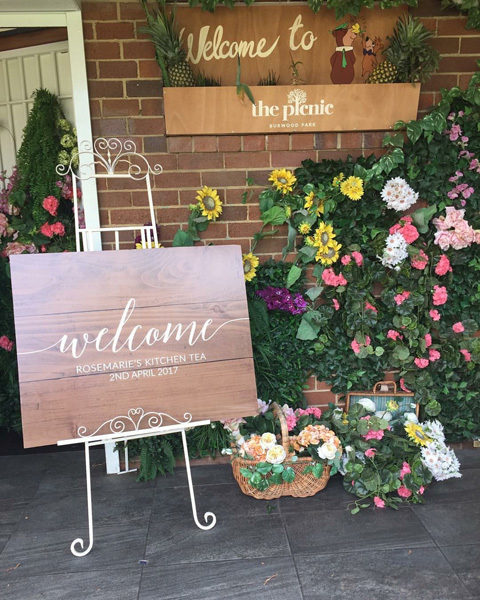 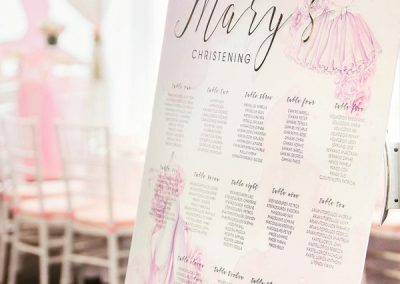 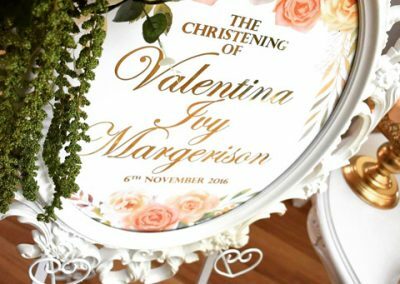 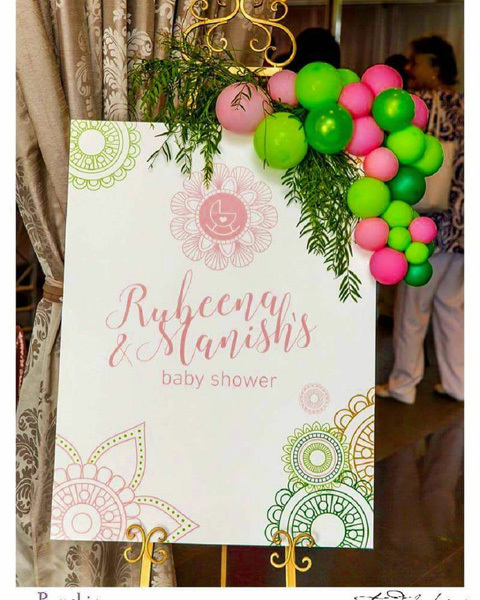 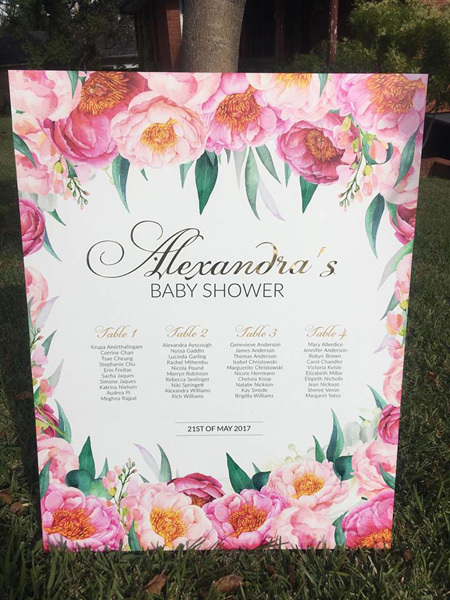 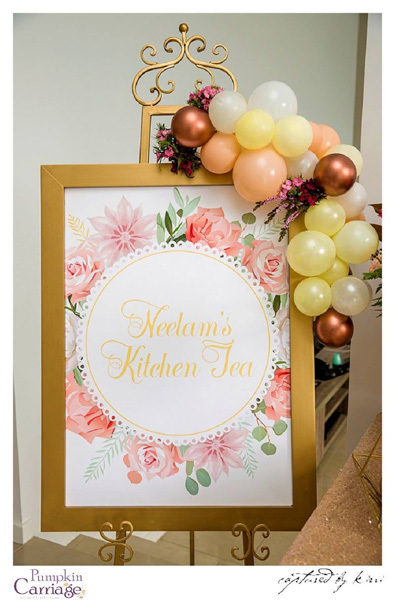 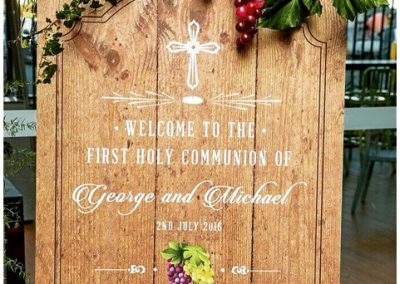 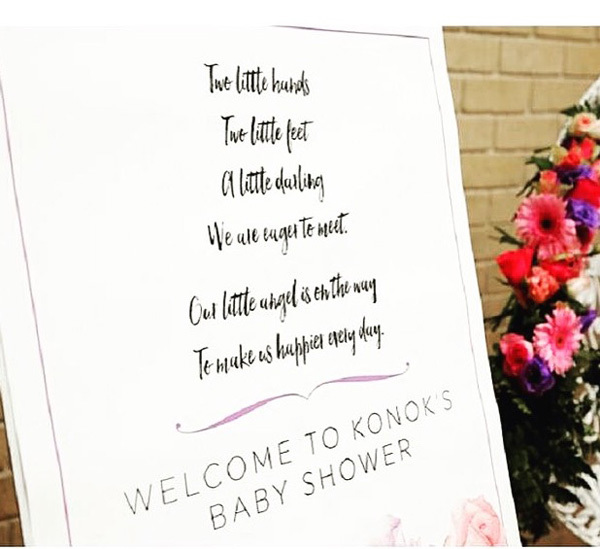 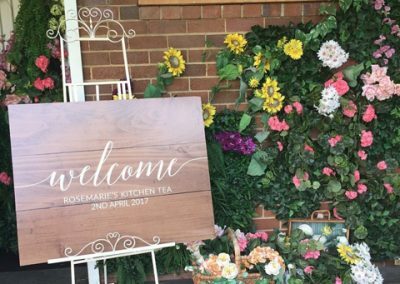 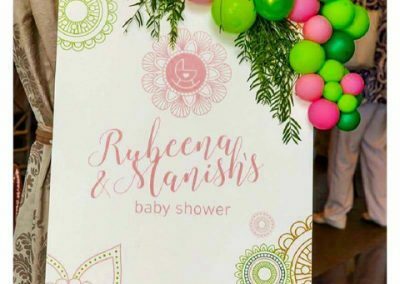 Our welcome signs are perfect for weddings, birthdays, christenings, bridal showers, high teas, baby showers, Holy Communions and more. 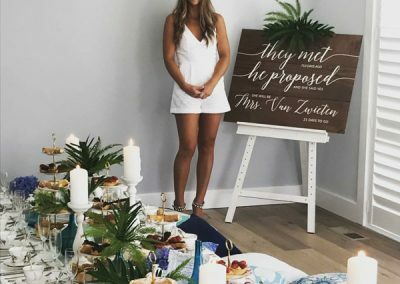 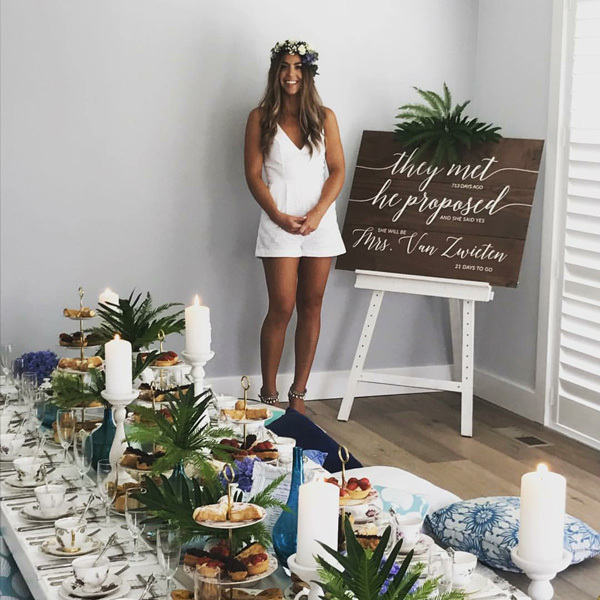 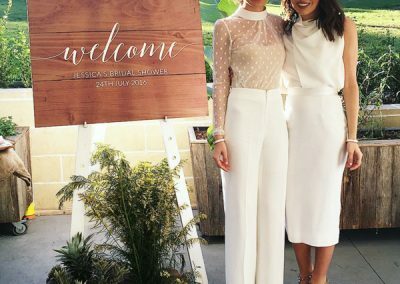 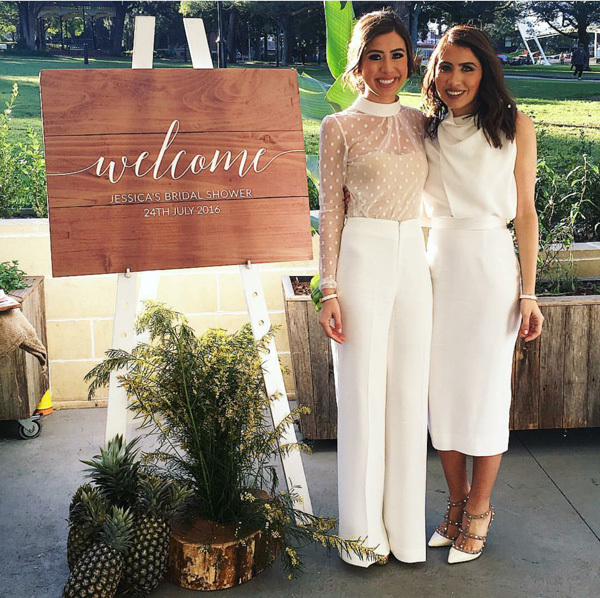 Hosting a big event? 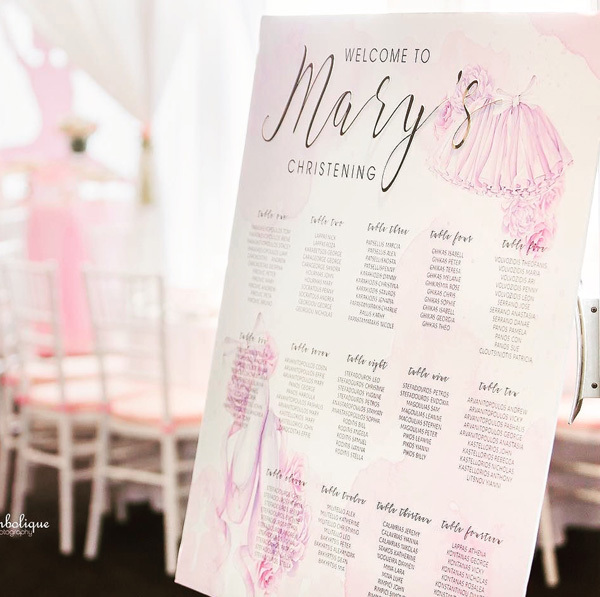 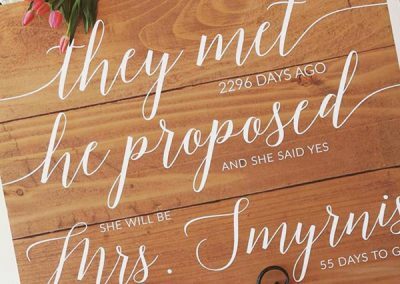 We also make matching table plans so that your guests are easily directed to their seats. 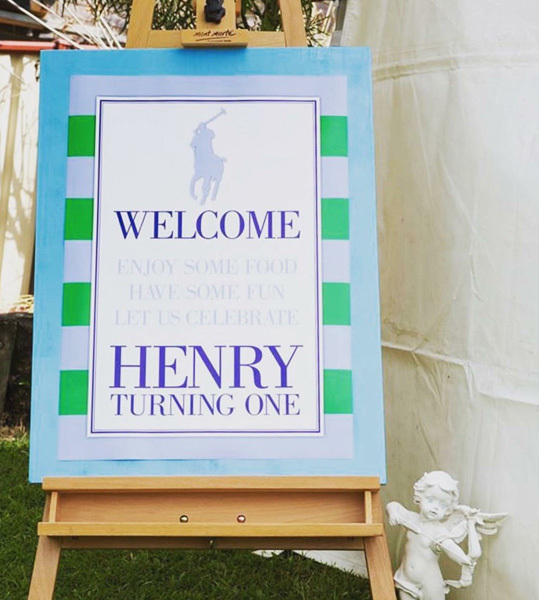 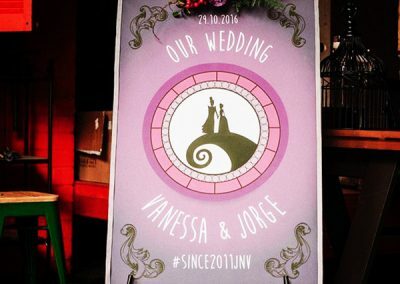 All our signs are custom designed to suit any party theme or style. 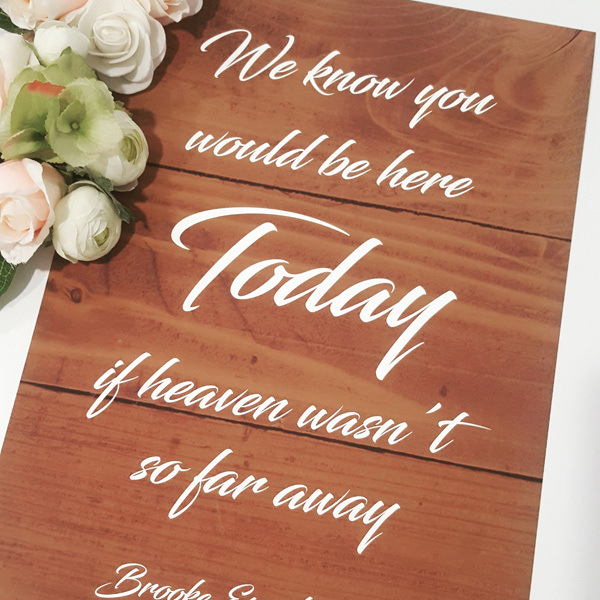 They can be hung on a wall or mounted on a foam board for display on an easel. 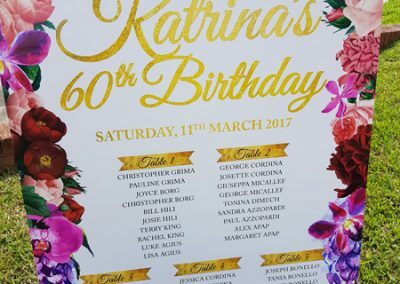 We also do foil applications! 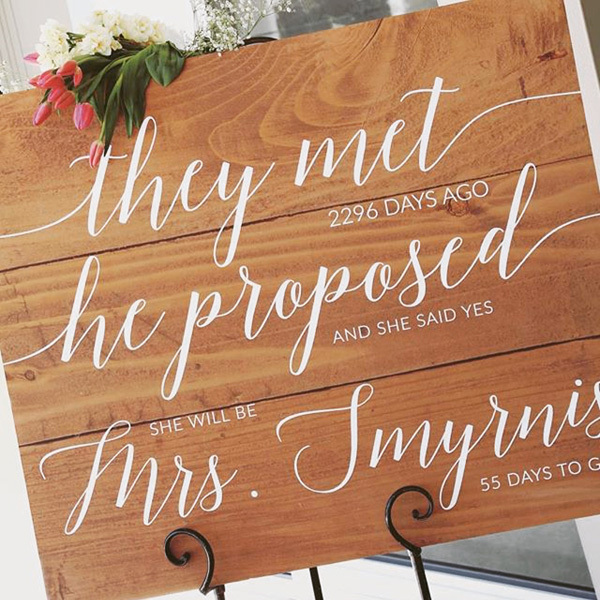 Adding foil to your sign takes it to the next level. 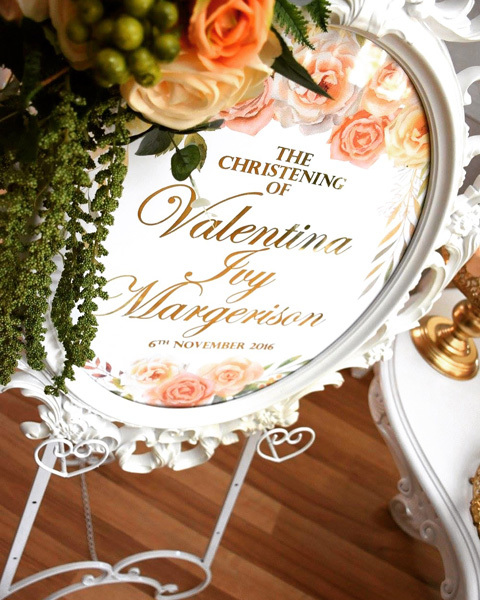 Our most popular colours are gold, silver and rose gold but there are others to choose from. 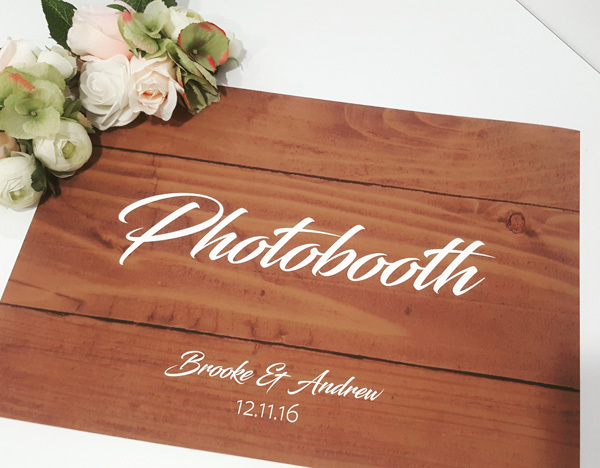 Speak to us about how we can add it to your sign or suit it to your theme. 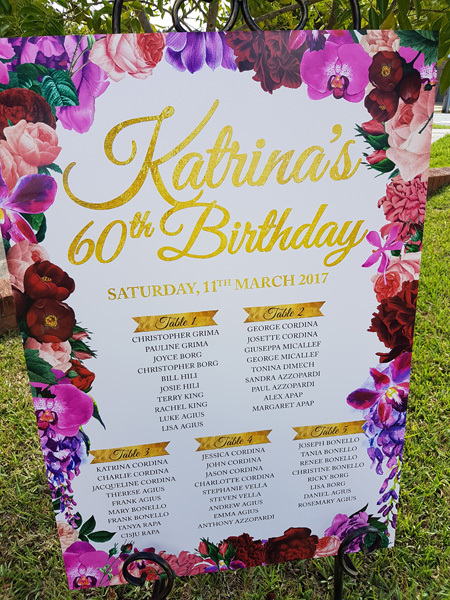 Design, Print & Mount Service – please allow a minimum of 10 days turn around. 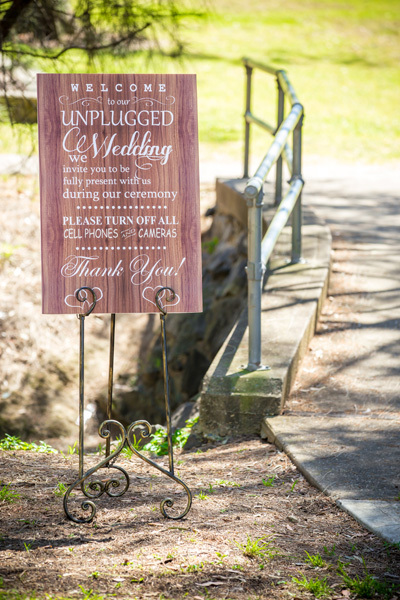 Print & Mount Service Only – please allow a minimum of 4-5 days turnaround. 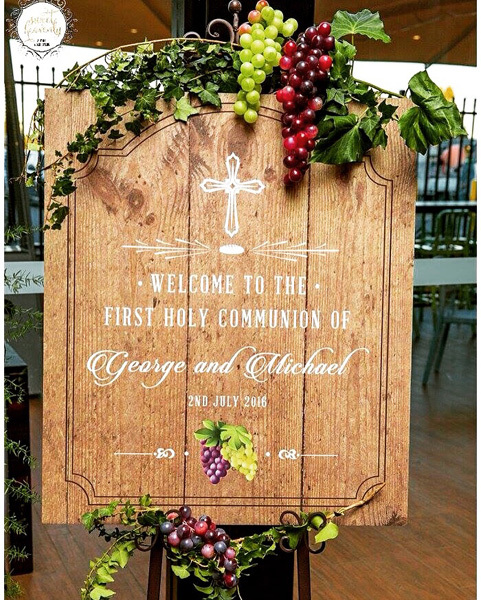 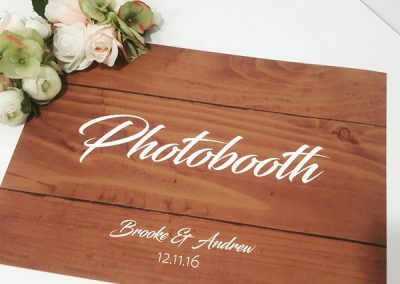 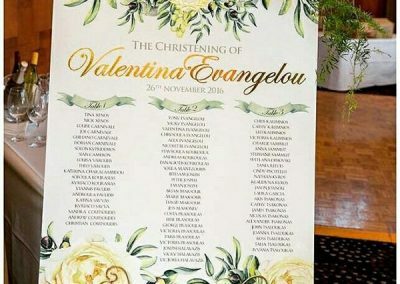 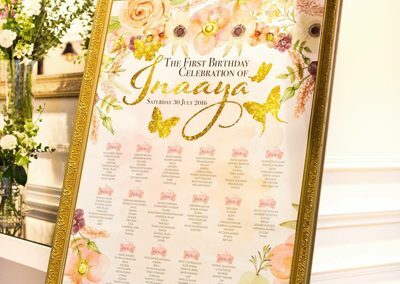 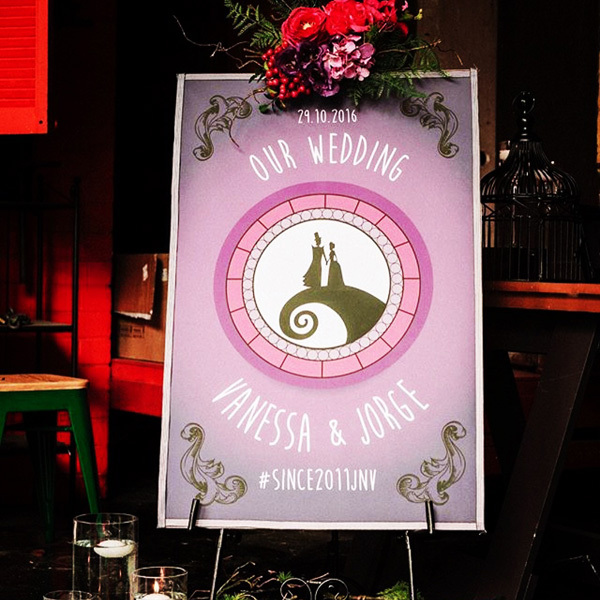 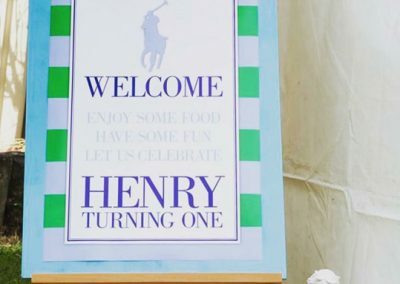 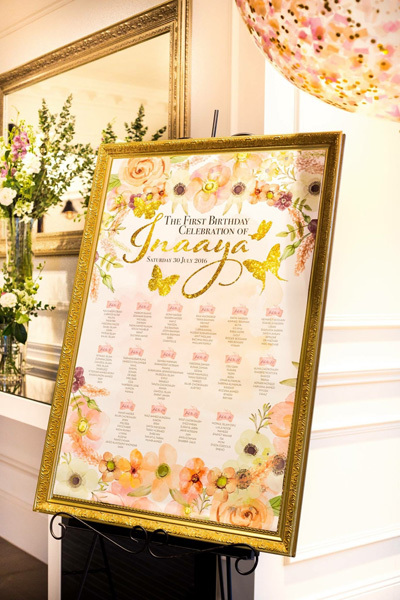 Interested in a Welcome Sign, Table Plan or any of our party printing services?